As a restaurateur, you want to make sure that your customers have a very enjoyable time whenever they visit your restaurant. This means that the food has to be delicious, the customer service must be spectacular, and, in addition, the layout, design, and decor have to be stylish, comfortable, inviting, creative, and functional. However, like most business owners, you probably do not have the extra time that you will need to handle all of these important tasks.Nextrend might not be able to provide valuable assistance with your restaurant’s cuisine or staffing needs; however, it can provide the right commercial furniture for your restaurant. Nextrend Furniture is an expert in the Australian hospitality industry. 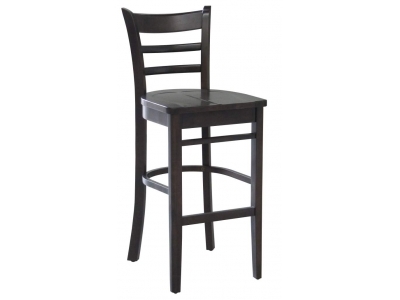 It carries commercial, restaurant, cafe, and hospitality furniture. The company specialises in providing products such as plastic stacking chairs, folding trestle tables, outdoor cafe tables, and bar furniture.Nextrend delivers furniture to restaurants, cafes, hotels, motels, and clubs. It is easy to get affordable commercial furniture with the look and feel that you want. It does not matter what design you envision because the staff at Nextrend will work closely with you to come up with a design that suits your business to a tee. First, the Innox Tabletop is a stainless steel table top that is available in 600 mm, 700 mm, and 800 mm sizes. This particular table can be purchased in either a round or square shape. If neither of these table top shapes fit into your design plans, it can also be purchased in a rectangular 1200 mm x 800 mm size. Second, if you want and need something with a little bit more pizzazz andcolour, then you will love the RedDuratopresinmoulded table top. It is available in round sizes of 600 mm, 700 mm, and 800 mm. It can also be purchased in square sizes of 600 mm x 600 mm, 700 mm x 700 mm, and 800 mm x 800 mm. The table top is also available in a rectangular size. Nextrend Furniture delivers custom and stock furniture to all parts of Australia. If the product is in stock, it will be shipped on the same day or the very next day. Quite obviously, different Australian cities will have different delivery lead times. Customer service can provide the lead time for your particular furniture delivery based on your location. Your customised furniture orders will always be delivered straight to your place of business in the shortest time possible.